Who thought 1-3 New England wasn’t going to whack 3-0 Miami to halt a Pats two-game losing skid? The Patriots demise has been once again greatly exaggerated. I think the Patriots are on the verge of a step towards demise (but a Super Bowl threat again this year) but having Miami as the hope to plunge the dagger…is no hope at all. How can you kill off the Patriots when every time they hit a rough patch…they have Miami, the Jets and the Bills popping up on the schedule conveniently? This wasn’t even a game. Miami is a fraud and justice was served here. -- I want to talk Sony Michel (25-112-1) here first. I wanted to see if this game marked a change from my blasting of Michel for weeks…that, maybe, he’d made a breakthrough from early season jitters. He had a few nice runs reeled off that I saw live Sunday, so I was ready to switch gears on him to ‘progress/OK’. After re-watching this game. Ummm…no. He’s a perfect ‘sell high’ and get RB1.5 money out of him. On the first or second series/early, Michel cranked off three solid runs, two for 10+ yards…3 carries for 36 yards total bang-bang-bang. He had nice, open holes and ran through them. From that point on he carries the ball 22 times for 76 yards (3.5) – looking like the same, dull Michel. How many targets did he get, you ask? Zero. 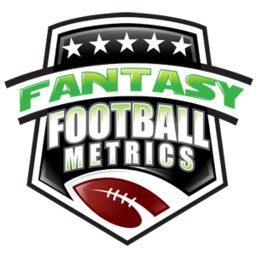 Stop fighting it – James White (8-44-1, 8-68-1/10) is the RB to own here, especially in PPR. A PPR RB1.5 and you look at him and think you have RB troubles…all of your RB minds are warped. How can I correct your vision? White is averaging 78.5 yards per game combined, he has 4 TDs in 4 games, he’s averaging 5.5 catches per game. The #8 PPR RB in PPG…and he was on your bench last week for some of you. I got you a free RB1 (as of today) here before the season started, a late redraft pick…and you’re whining about the state of your RBs!!! I was worried he might dip when Julian Edelman returned, but that was when the backfield was Hill-Rex-Michel-White. A lot of mouths to feed. Now, it’s down to weak Michel and trusted White. I’m all in on James White as a slippery chance to be an RB1 this season in PPR. Sony Michel is a ‘sell’…the masses LOVE him too. Make them bleed in a deal. White works independent of whatever Michel is doing. And the weaker Michel is…the more touches White will get. -- What about the RBs on the other side of the field? What happened to Kenyan Drake (3-3-0, 1-13-0/2)? I’d be an extreme ‘buy low’ on Drake (starting to hit waivers in some leagues). It was Drake leading the way when this game was kind of a game…but Miami was 3 & out all day. When it got fully out of hand, Frank Gore (11-41-0, 2-16-1/3) was in mopping up. If Miami is going anywhere they need Drake to lead this running game. He’s untrustworthy as a Week 5 start, but he’s one nice game away from renewing everyone’s RB2 faith. I like holding Drake on the bench to see what happens, or as an emergency Week 5 play with some hope this week. -- I was very interested to see how Josh Gordon (2-32-0/2) was used and how he looked in his ‘debut’ with more targets/snaps. Just 2 targets and only 18 snaps. However, he looked very good/smooth catching the ball. He had two other targets that were called back for penalty. When he was in, he was getting targets. Gordon may ‘happen’ this week, but it might be one week too soon…not sure. I think ‘it’s coming’ with Gordon. You can kinda see it’s going to happen (if he stays on the field). Brady needs this…Gordon needs this. The Gordon-to-NE hysteria may have dipped a bit with this debut, but some are already calling ‘sleeper’ this week…as am I. It’s early, maybe. I could see him playing 30-40% of the snaps and going 4-55-0 on TNF…or 70% of the snaps and going 5-119-1 with a 40+ yard and then people losing their minds. If you can get Gordon tossed into a multi-player deal with a WR2-ish valuation, right now is the time to do it. All those ‘Gordon is the greatest’ truthers…he’s about to start working 70%+ of the snaps with the greatest QB in the history of football with all his weapons back (Edelman, Gronk). Consider the Pats will have Edelman-Gordon-Hogan-Patterson as a rotation with Gronk and James White. Patterson is starting to make big plays (in limited touches). This offense could be about to go nuclear. If so, Tom Brady (23-35 for 274 yards, 3 TDs/2 INTs) could be about to go on an epic run. He doesn’t make a bad ‘buy low’ for those dying at QB (and you might have been dying because of Brady). -- Rob Gronkowski (4-44-0/7) has not been targeted in the red zone in 2018. Isn’t that weird? Do you know how many TDs Gronk has in his last 16 regular season games? …and now there’s this foot issue. I think Gronk is kinda playing and preserving to get to the playoffs healthy and then cranks it up when it matters. The every week crusher Gronk is disappearing into random Jimmy Graham-ish events. Only when Gronk turns it up it’s huge. Maybe, Gordon and Edelman back are about to light Gronk up? -- DeVante Parker (DNP) was declared inactive for this game. All I can say is…I know WR scouting pretty well too. My 2-3 year battle with defacing Parker as a top WR for the mainstream has finally been won. Where’s my trophy? What? No Party either? -- OK, I’m done even bothering to look for hope on Mike Gesicki (1-9-0/2). I’ve been leaning this way since the Combine but now I’ll just lock it in…great athlete on paper but plays like he’s an octogenarian off hip replacement on the field. He plays so much smaller and slower when pads are on. I’m officially not paying attention (as much) anymore. He’s going to have to do something to get my attention. Gesicki is ‘death to analytics’ from the NFL Combine. -- I say Gesicki looks weak every week back to the preseason but I’ve also noted Miami rookie LB Jerome Baker (10 tackles) looks way better than I scouted out of Ohio State. He continues to look strong, fast and makes plays. 9.5 tackles per game the past two weeks. Good every other week this season ahead.